If event details do not show, refresh your browser and then click on the event to see details. We invite you to come experience the wonder of Easter with fresh eyes and an open heart. Bring your friends, neighbors, family—and join us to CELEBRATE Jesus’ resurrection! Parents with kids of all ages (birth-12th grade) are invited as we provide practical parenting insight, talk all things kids and culture, and give you the chance to connect with other parents with kids at a similar age and stage. 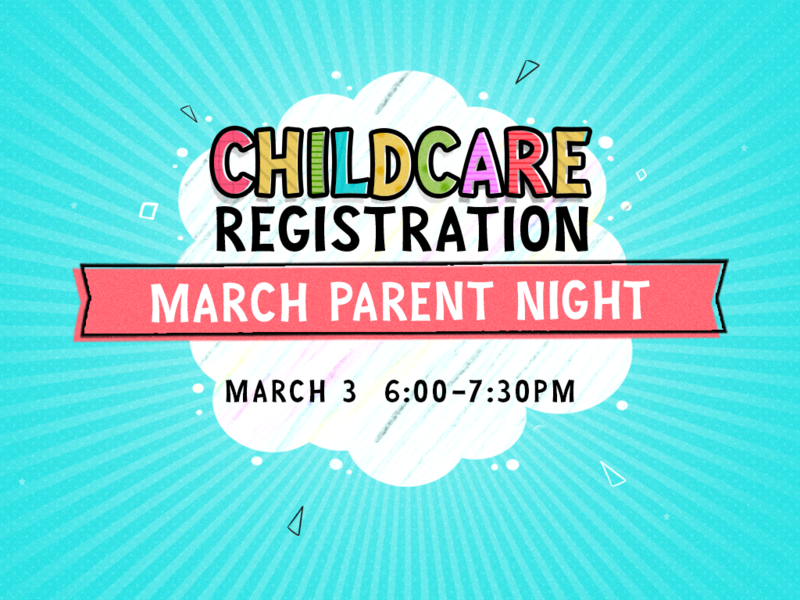 Register Childcare Now for Parent Night on March 3, 2019! Parent night is a gathering for parents, with kids birth-12th grade, to hear practical parenting insights & connect with other parents. 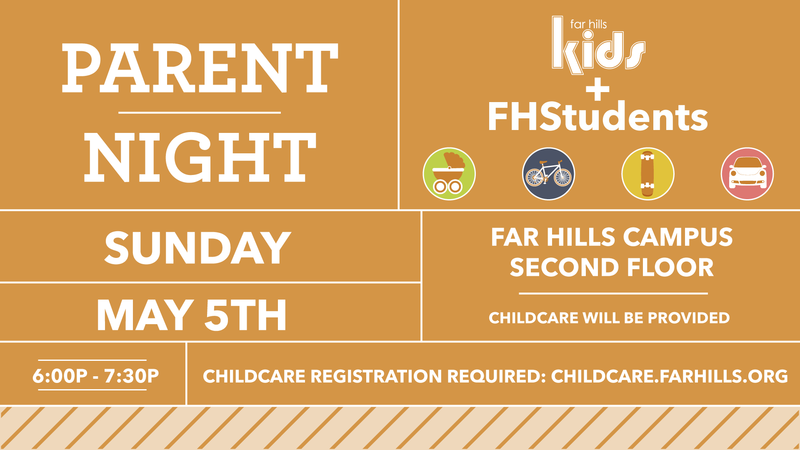 Register Childcare Now for Parent Night on May 5, 2019!